Fyxation announces that their 2nd annual Fyxation Open fixed gear street crit is back! After the huge success we had last year we’ve teamed up again with the crew at Prairie State Cycling and Inteligentsia Cup and this year’s race will be bigger and better than last year. 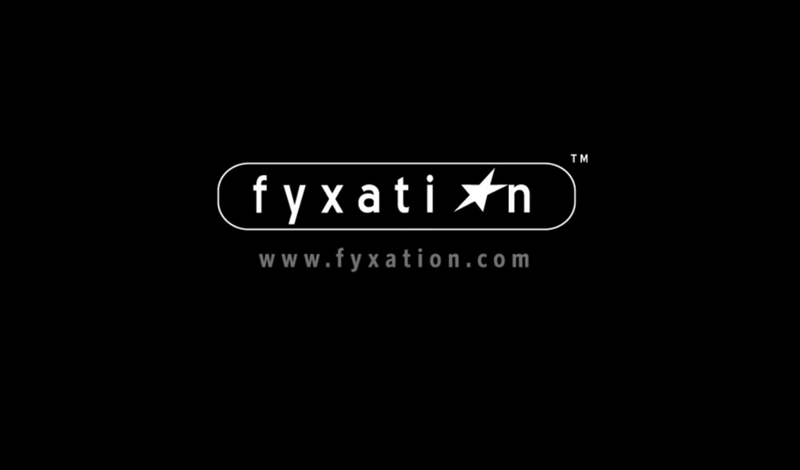 The Fyxation Open is a true fixed gear criterium and is held on the same race course as the SRAM Chicago Criterium on July 26th in the heart of downtown Chicago. The race is located in an industrial parts of the city and takes place right outside the headquarters and brewing facility of Goose Island Brewing and Inteligentsia Coffee. Spectators are in for an exciting day of racing starting at 9AM with a full expo area that includes great coffee and beer from Goose Island and Inteligentsia. The Fyxation Open will be held under USA Cycling permit no. 2015-49. Because of the caliber of riders and the excellent attendance of last year’s event, the second annual Fyxation Open will now have 2 qualifying heats and a a final with racing spread out over the course of the day. Last year was the inaugural race and even though we only had about month to plan the event, riders from all over the Midwest came in force to compete in the Midwest’s first competitive fixed gear street criterium race. Once again, the Fyxation Open final race will be held between the Women’s Pro and Men’s Pro events guaranteeing a large crowd will be in attendance. There will be over $1000 of cash and prizes available for the winners and primes will be held throughout the race courtesy of our sponsors. We plan on posting additional information with the full rules and race regulations, but for now here’s some quick info and a link to the the USA Cycling site to register for the Fyxation Open. Only 200 spaces are available and we estimate that these will go fast. Just so you’re aware of the level of competition for this event, last year’s winner Brian Ellison who won by a large margin also competed in the Men’s pro road race immediately following the Fyxation Open. This isn’t an alleycat or your neighborhood fixie group ride. It’s a competitive event and riders will be pulled from the rear of the pack throughout the race to keep things flowing smoothly and to give the leaders an open course to compete. Riders will be assigned randomly to each qualifying heat and the top 50% of riders from each heat will qualify for the finals. The online entry fee for heat 1 or heat 2 is $35, and it’s $40 for day of reg. Race day is Sunday July 26, 2015. Qualifying Heat 1: Starts at 3:50PM. 15 minute race with a field of 100 riders. Qualifying Heat 2: Starts at 4:15PM. 15 minute race with a field of 100 riders. Fyxation Open Finals: Race starts at 5:50PM. 30 minute race with a field of up to 100 riders. The rules and regulations will be the same as last year’s race (link to 2014 set-up rules here) and all riders must have their bikes checked at the Fyxation tent in order to be approved to race. Last year we did have to disqualify a few riders before the event so make sure you carefully review this list. Contact us with any questions. Here are some scenes from last year’s event.